A library is a collection of code for functions and classes. Often, these libraries are written by someone else and brought into the project so that the programmer does not have to “reinvent the wheel.” In Python the term used to describe a library of code is module. By using import pygame and import random, the programs created so far have already used modules. 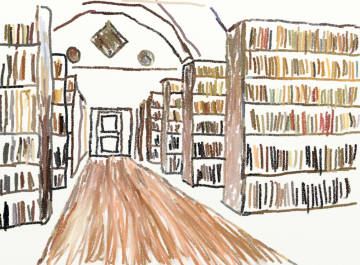 A library can be made up of multiple modules that can be imported. Often a library only has one module, so these words can sometimes be used interchangeably. Modules are often organized into groups of similar functionality. In this class programs have already used functions from the math module, the random module, and the pygame library. Modules can be organized so that individual modules contain other modules. For example, the pygame module contains submodules for pygame.draw, pygame.image, and pygame.mouse. Modules are not loaded unless the program asks them to. This saves time and computer memory. This chapter shows how to create a module, and how to import and use that module. 14.1 Why Create a Library? It breaks the code into smaller, easier to use parts. It allows multiple people to work on a program at the same time. The code written can be easily shared with other programmers. Some of the programs already created in this book have started to get rather long. By separating a large program into several smaller programs, it is easier to manage the code. For example, in the prior chapter's sprite example, a programmer could move the sprite class into a separate file. In a complex program, each sprite might be contained in its own file. 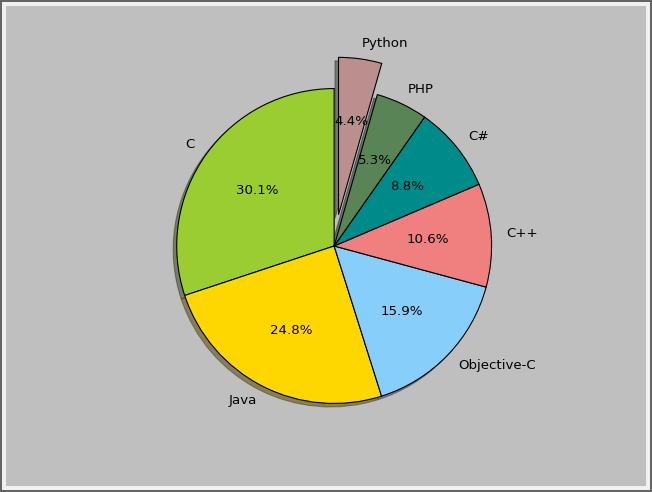 If multiple programmers work on the same project, it is nearly impossible to do so if all the code is in one file. However, by breaking the program into multiple pieces, it becomes easier. One programmer could work on developing an “Orc” sprite class. Another programmer could work on the “Goblin” sprite class. Since the sprites are in separate files, the programmers do not run into conflict. Modern programmers rarely build programs from scratch. Often programs are built from parts of other programs that share the same functionality. If one programmer creates code that can handle a mortgage application form, that code will ideally go into a library. Then any other program that needs to manage a mortgage application form at that bank can call on that library. Yes, this program is not too long to be in one file. But if both the function and the main program code were long, it would be different. If we had several functions, each 100 lines long, it would be time consuming to manage that large of a file. But for this example we will keep the code short for clarity. To do this, create a new file and copy the foo function into it. Save the new file with the name my_functions.py. The file must be saved to the same directory as test.py. This works because my_functions. is prepended to the function call. This works even without my_functions. prepended to the function call. The asterisk is a wildcard that will import all functions from my_functions. A programmer could import individual ones if desired by specifying the function name. It is possible to download and install other libraries. There are libraries that work with the web, complex numbers, databases, and more. Pygame: The library used to create games. wxPython: Create GUI programs, with windows, menus, and more. NumPy: Sophisticated library for working with matrices. Going through lists of libraries that are available can help you brainstorm what types of programs you can create. Most programming involves assembling large parts, rather than writing everything from scratch. This example uses a library called OpenPyXL to write an Excel file. It is also easy to read from an Excel file. You can install OpenPyXL from the Windows command prompt by typing pip install openpyxl. If you are on the Mac or a Linux machine, you can type pip3 install openpyxl. ws['A1'] = "This is a test"
This example grabs information off a web page. You can install Beautiful Soup from the Windows command prompt by typing pip install bs4. If you are on the Mac or a Linux machine, you can type pip3 install bs4. # Ok, done with that row. Print a blank line so we go to the next. 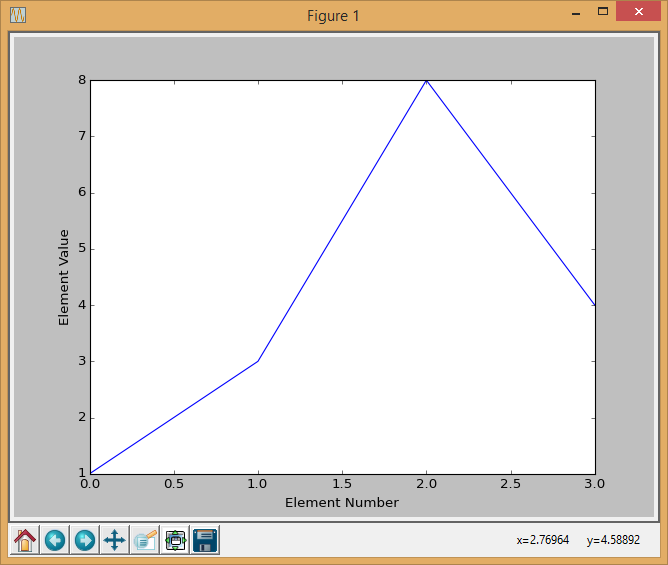 You can install Matplotlib from the Windows command prompt by typing pip install matplotlib. 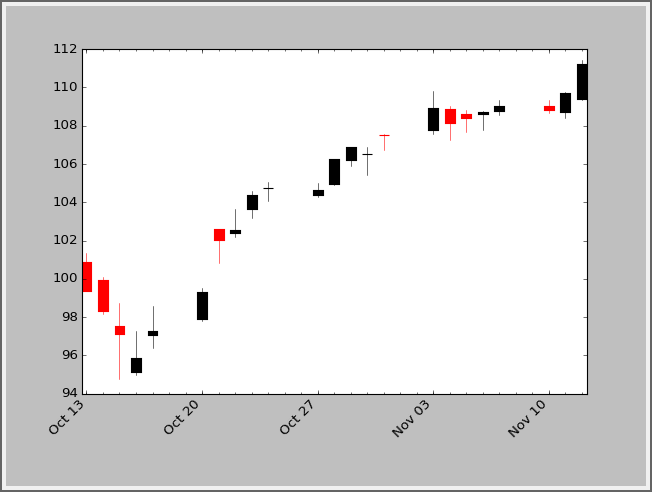 If you are on the Mac or a Linux machine, you can type pip3 install matplotlib. 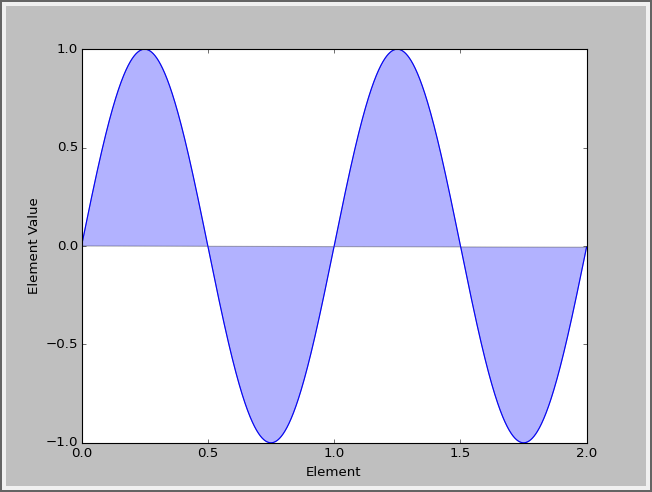 Line chart with four values. The x-axis defaults to start at zero. Note that you can zoom in, pan, and save the graph. You can even save the graph in vector formats like ps and svg that import into documents without loss of quality like raster graphics would have. 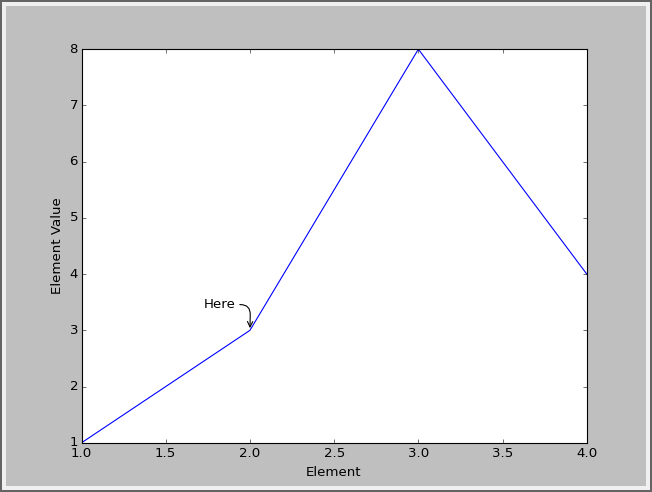 The x value for Example 1, Figure 14.1 defaults to start at zero. You can change this default and specify your own x values to go with the y values. See Example 2 below. The x-axis values are specified as well. 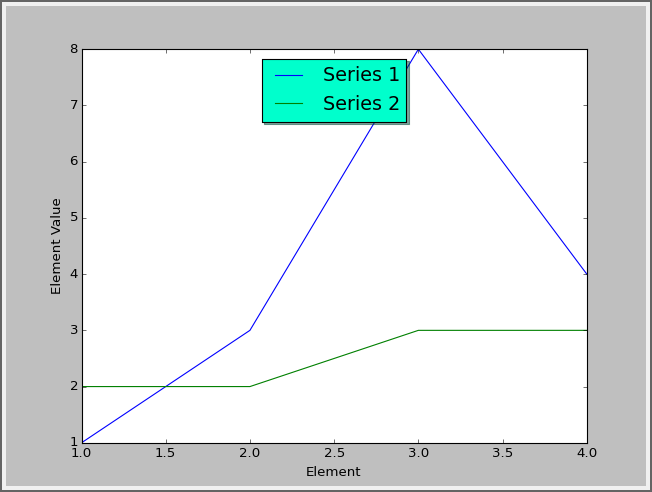 It is trivial to add another data series to the graph. Don't like the default lines styles for the graph? That can be changed by adding a third parameter to the plot command. This shows how to set line style and markers. 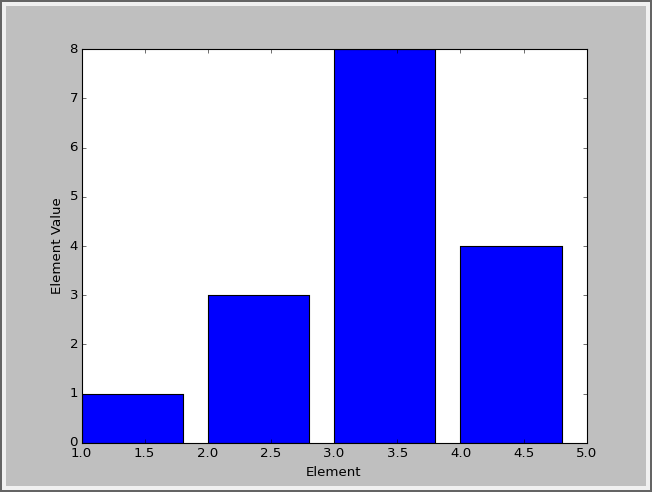 A bar chart is as easy as changing plot to bar. How to do a bar chart. You can add labels to axis values. How to add x axis value labels. You can graph functions as well. 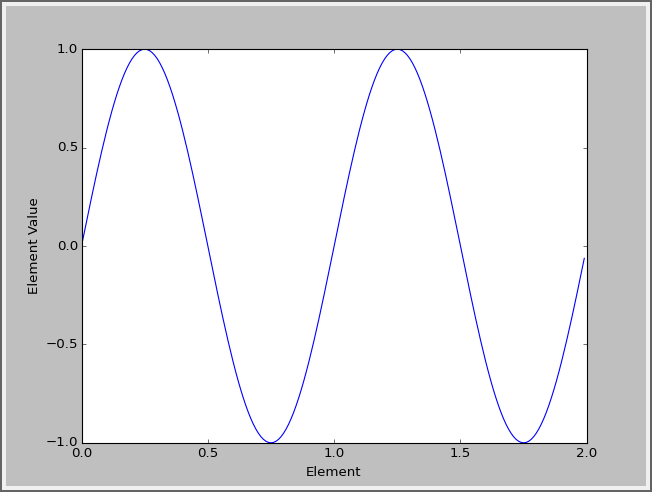 This uses a different package called numpy to graph a sine function. You can fill in a graph if you like. # 'b' means blue. 'alpha' is the transparency. # How far out to pull a slice. Normally zero. # Set aspect ratio to be equal so that pie is drawn as a circle.